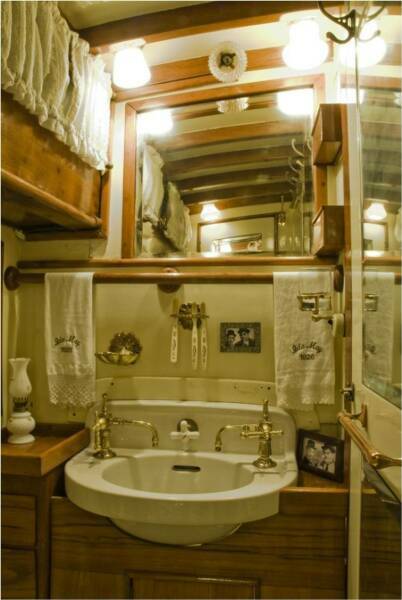 The Head (Bathroom), to port amidships, an intimate space with period fixtures. Note the small photo next to the toothbrushes has been enlarged above. 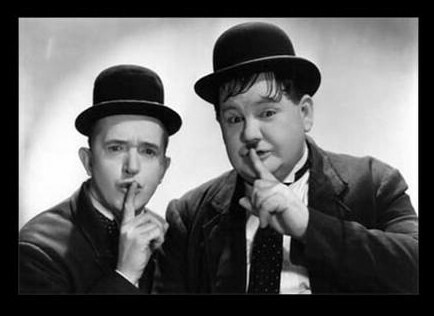 While seated on the Head (Toilet) this is the picture you would be directly looking at....Sssshhhhh! 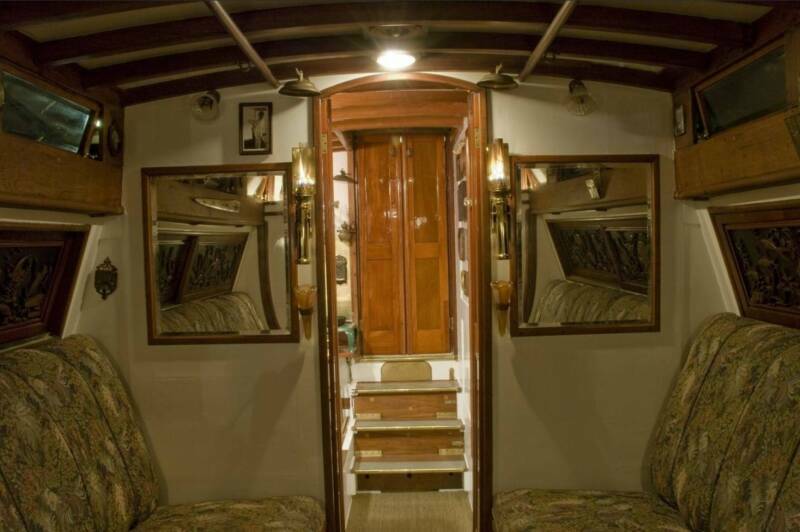 The Wheelhouse port side notice the rod holders with the original fishing rods hanging above on the all teak cabin top. 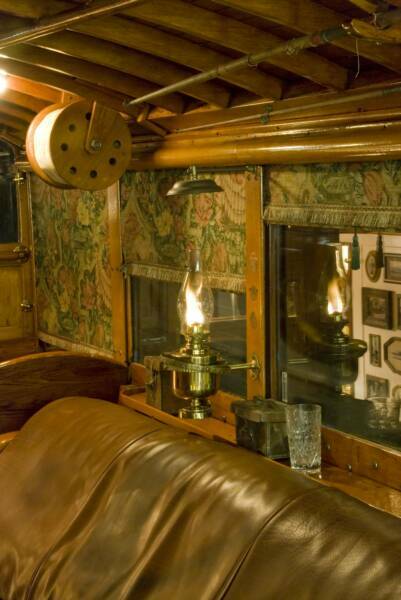 She is most enjoyable at night, when the gleaming teak and leather reflect the glow of brass oil lamps and extensive low voltage lighting. Notice the line dryers for the vintage linen fishing line. 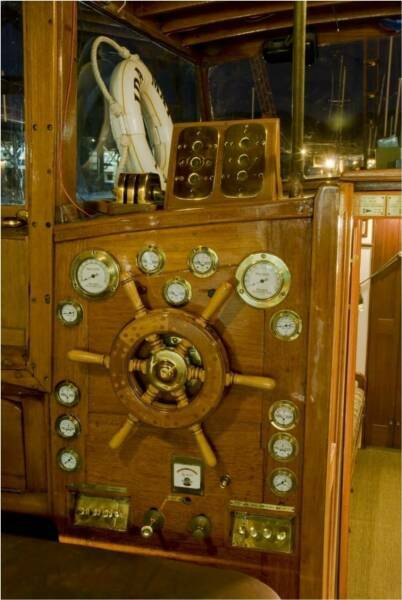 The Wheelhouse: Captain's Chair and beautiful brass gauges surrounding the forward ship's wheel. 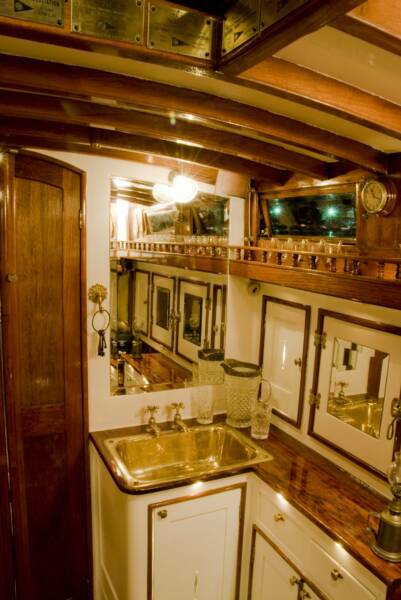 The Galley (Kitchen): Every detail was meticulously restored. 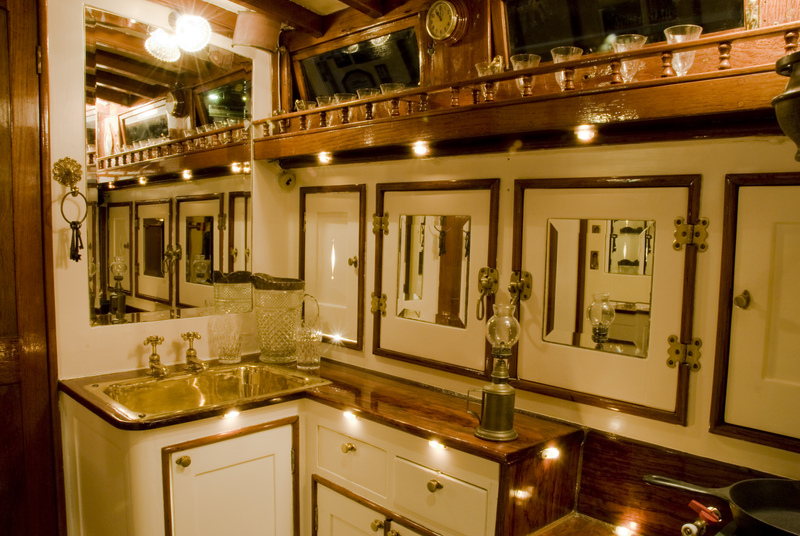 With its brass sink, beveled mirrors and mood lighting it is dramatic. The now electric icebox in the middle is fully functional. 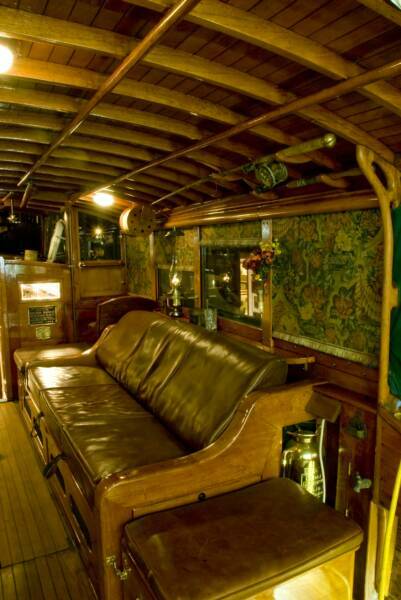 The Interior of the Ida May. Our philosophy of total immersion has helped us learn a great deal, on the job. 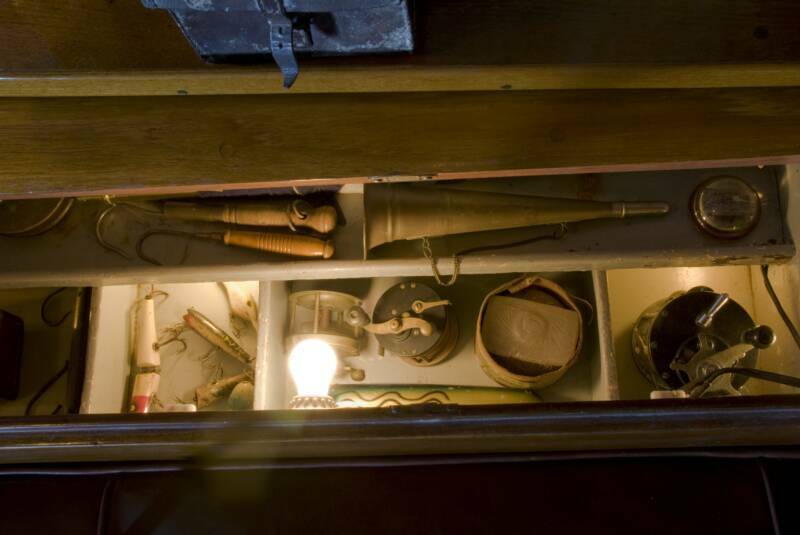 We have been involved in every aspect of the restoration. In the Winter months work shifted to the interior when the weather was poor or too cold. Every surface has required refinishing. From large surfaces to the smallest detail, we are looking at everything. 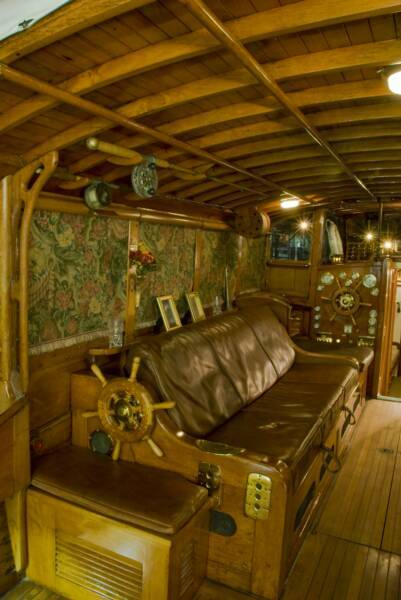 The helm was refinished, and all gauges are as they were for the Hall-Scott engines that once powered her. A gimbaled compass is housed in this pull-out compartment for pre-GPS navigation. 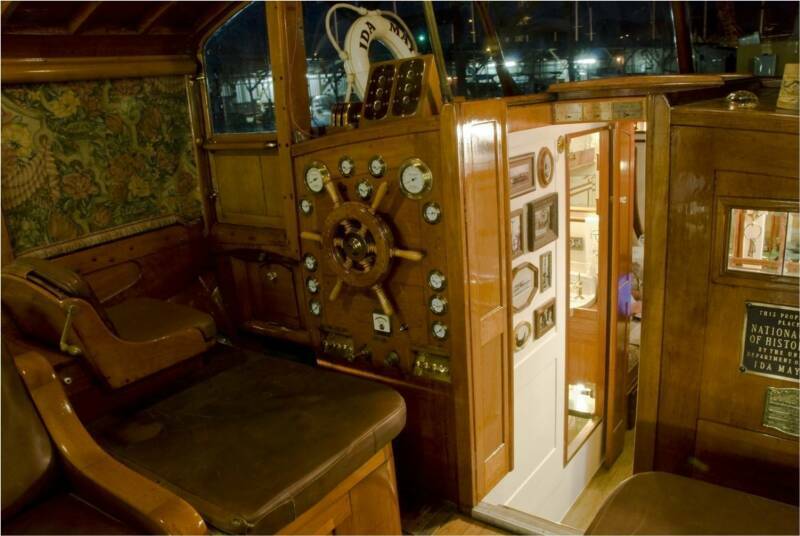 The stern controls allow the boatman to be near the angler at the aft fighting chairs for better communication and a quick gaff. 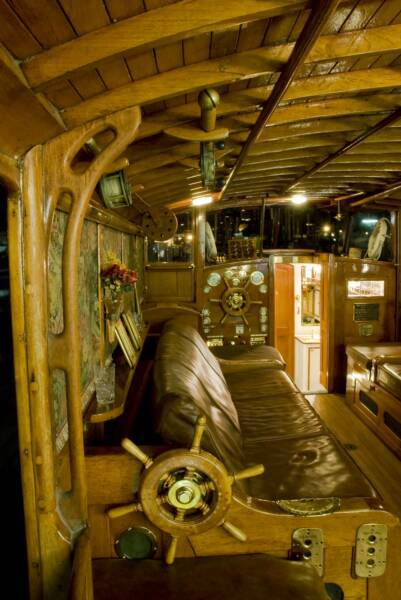 Behind the leather settees are convenient lockers for tackle on the starboard side and rods on the port side. 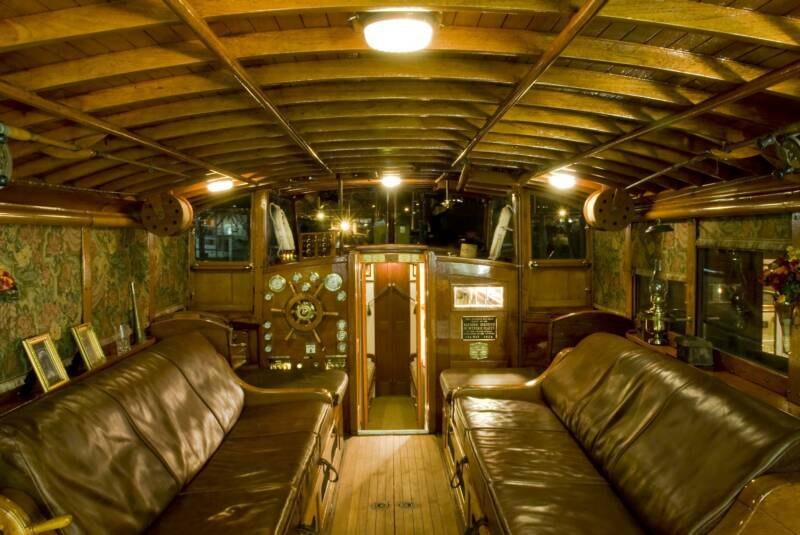 Looking aft toward the galley. 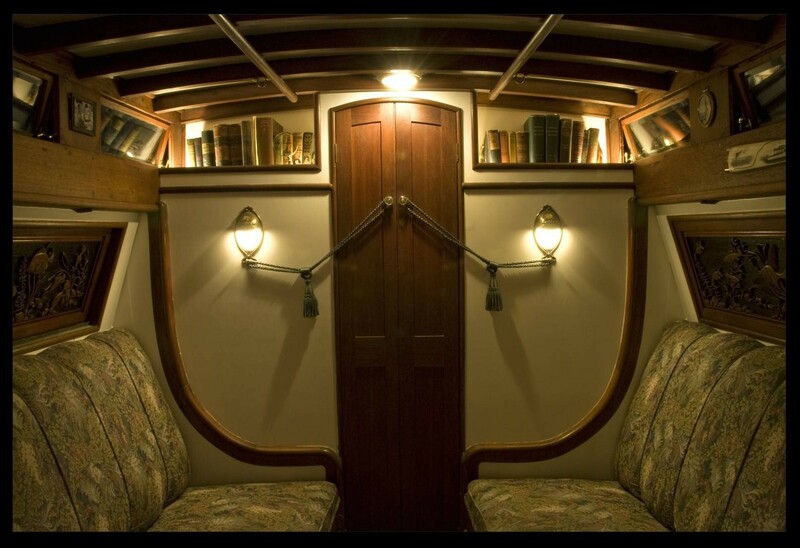 The backs of the settees in the Salon can be raised to serve as bunks. This website and the monumental restoration of the Ida May is a tribute to Lois Laurel Hawes and her dear father, Stan Laurel.